Spray paint art created by Alisa Amor using Mexican aerosolgrafia techniques. Alisa Amor teaches airbrushing techniques that come from the world of Mexican spray paint art. 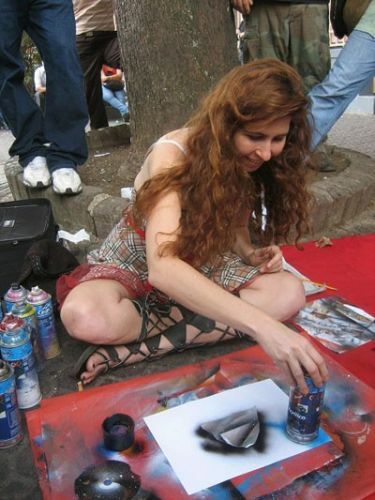 She has been a street painting artist for over 20 years. She enjoys modifying spray paint art techniques for use with airbrush and water based acrylic paint.